Outokummun Metalli Oy, an exclusive partner with Waratah and John Deere, ended 2018 with impressive figures in harvester head production, when the company’s 12,000th harvester head frame was completed at its Outokumpu plant on Dec. 18, 2018. 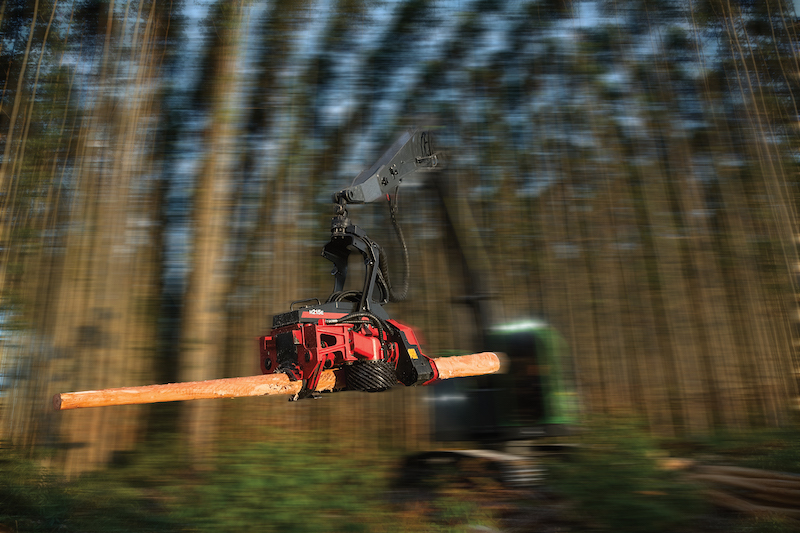 The harvester head was Waratah’s H215E model, a high-capacity new-generation harvester head purpose built for eucalyptus debarking and designed for use on large wheel harvesters and excavators. The day after its manufacture, the product headed to Waratah OM Oy’s facilities in Joensuu, Finland for final assembly, and from there it will be delivered to Australia through the Waratah sales organization. Expertise in the manufacture of forestry machine harvester heads is at the heart of Outokummun Metalli’s business. The company produced its first harvester head in 1984, which means reaching a production volume of 12,000 units in the course of 34 years is the result of countless working hours.